For those that are on periscope, I'm there too and my account name is iladdie ! Look me up if you want . What do I think of Periscope? I actually found out that periscope is pretty useless when your trying to broadcast a tasting by yourself. I just lack the amount of arms and hardware needed to keep my phone stable, read comments and keep focused on nosing and tasting. It could be useful for streaming a distillery tour. That is, if it is allowed and people don't mind looking at an iPhone strapped to your face while making the tour. And if the 3G/4G/wifi supports the bandwidth. Let's just say the Scottish isles are not blessed with broadband like Amsterdam is. It is however useful, and funny, when watching other struggle with the same issues. The better options for recording a tour would be a GoPro or similar device. Don't worry about streaming it life unless you have the technical support of a team, permission and the needed bandwidth. The option of doing a "face to face" chat with your whisky mates is limited to "friends only". This is where periscope is quite useless as well. The better options would be Facetime or any other program where you can just use the camera in your IMac, laptop etc. So my use of periscope will be limited to waiting on others to broadcast something whisky related. I had set out to proof or disprove a theory that I had postulated. 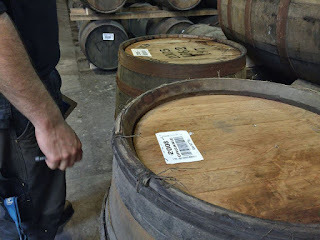 I wanted to show that the notes that are supposedly from the ex content of a cask were actually coming from the wood, not so much the wine, sherry or port. I had it all figured out. I had a strategy! Compare all these and than come to a conclusion! I had it all figured out! Had the information I needed from highland park after pestering them for weeks. They send me a list of which dram matured In what kind of cask. I had spoken to the blenders of Compass Box and asked their input, which I got! 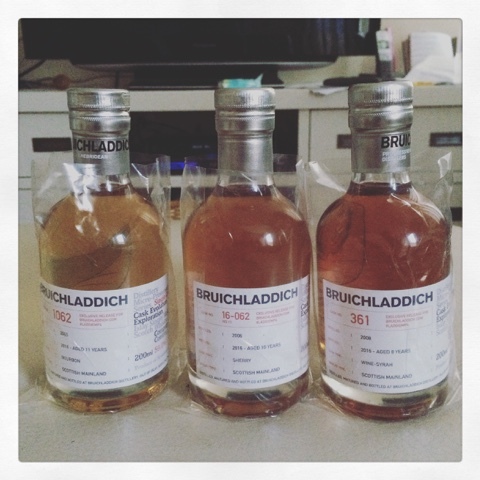 Then I noticed the Bruichladdich laddiemp3 bottles which I ordered last year! It hit me! You nerd! I had the comparison in needed sitting in a box for over a year! I could taste port, sherry and bourbon matured (not finished) side by side! Jim and Adam had given me the tool I needed to proof (or disproof) my theory! So I watched the webcast again of the online tasting! Tasted and Nosed. I was ready to come to a conclusion! Yes I was ..... I was .... until one night I looked in my bookcase (it holds books too) and spotted the rum-cask matured Bruichladdich dram I had bought via online auction quite by accident. Why not open this dram and have a wee taste! WHAM!! OMG!! What the f&ck was that! The notes in this baby are totally different than anything I had tasted ever! I came to a crashing halt in my quest to proof or, now, disprove that the previous content had no influence. But f&ck! After tasting this beautiful dram I can throw that theory out of the window! Previous content does have influence in a way I thought I could disprove! Now I no longer can! Or can I? 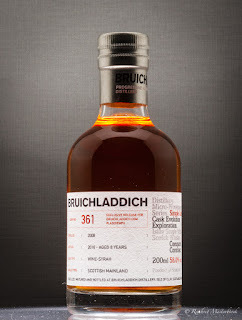 Well, next month I will be on Islay hopefully tasting the Syrah matured bruichladdich laddiemp4! That should add to my knowledge base and hopefully give me more info on my quest! As you may know I selected my blogger name to honor the Bruichladdich Distillery. 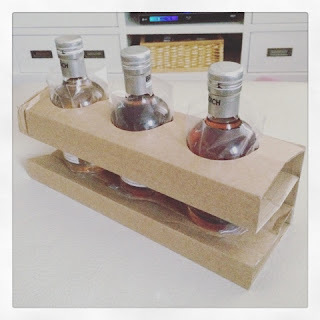 I missed out on the LaddieMP1 and Laddie MP2, but last year I was lucky enough to get my hands on a LaddieMP3 set. This year I have been waiting for the mail by the Bruichladdich Distillery that informs people about the availability of the sets. So on the 17th of August 2016 the LaddieMP4 was announced. We are about to embark on an exciting new chapter of our Micro-Provenance digital tasting programme. Adam has selected three single casks for #LaddieMP4; you'll be able to join him online as he conducts a video tasting live from the distillery. The release will be entirely in sets of three beautiful 20cl ‘Wee Laddie’ bottles – at an extremely attractive price point of £50 per set, plus postage and packing. 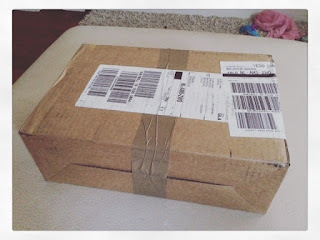 Minutes after reading the mail I placed my order, but for what? What had Adam Hannett selected this time? Contrary to the blind tastings of the previous expressions the website now has some details on the three drams. Only 860 sets will be available. 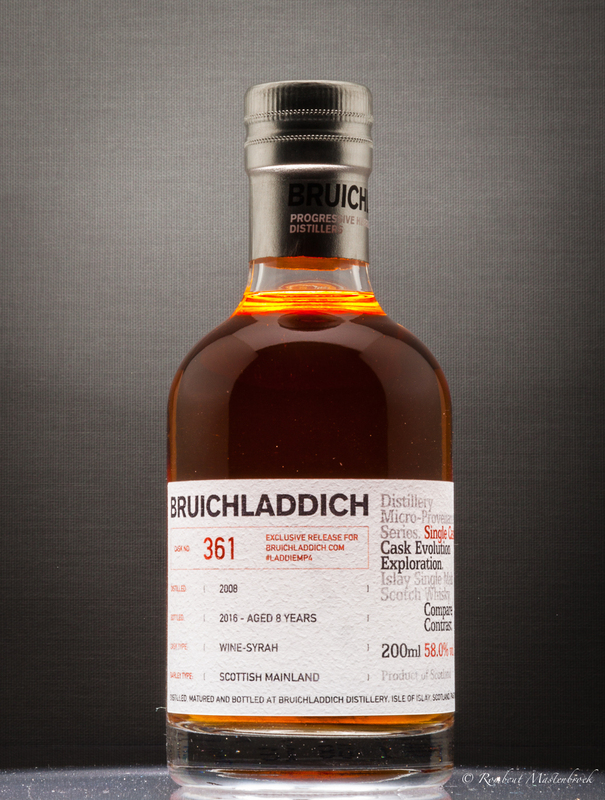 Cask #361 - distilled in 2008 and matured full term in a French ex-Syrah (red wine) cask. It is at 58% alc. vol. 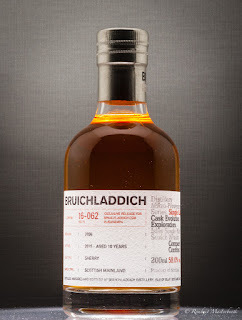 Cask #16-062 - distilled in 2006 and matured in ex-bourbon before being finished in an ex-sherry cask is also at 58% alc. vol. 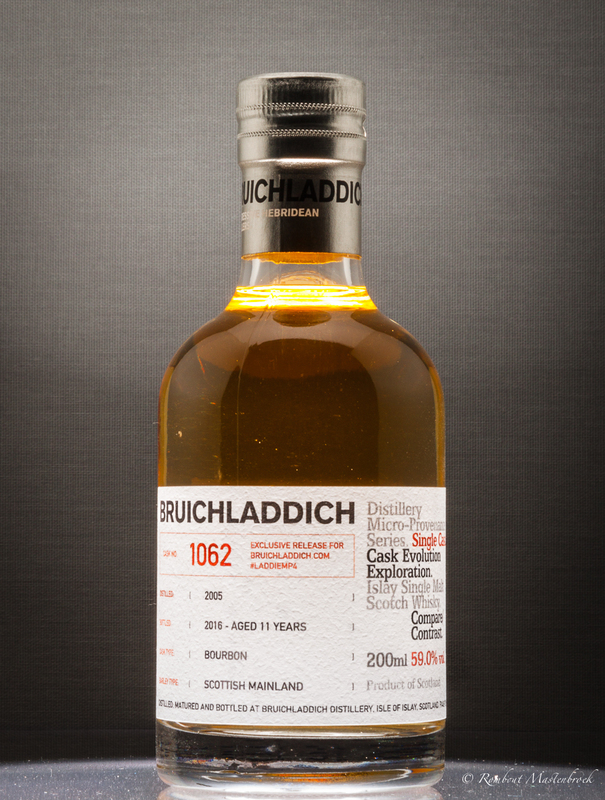 Cask #1062 - distilled in 2005 and matured full term in bourbon is at 59% alc. vol. I am particularly interrested in the ex-Syrah, since that grape is one of my favorite grapes for red wine! This facebook video link shows the emptying of cask #16-062. This facebook video link shows the bottling. 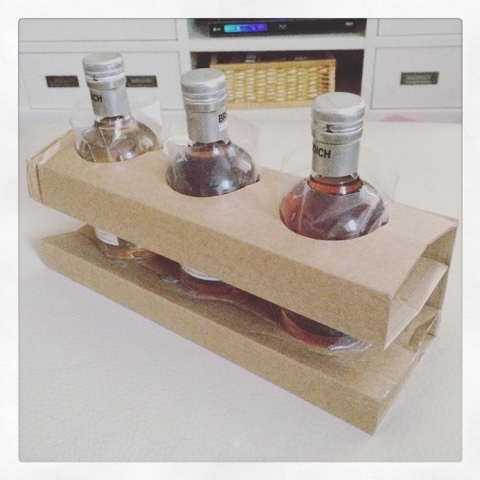 This facebook video link shows the packaging of the bottles. 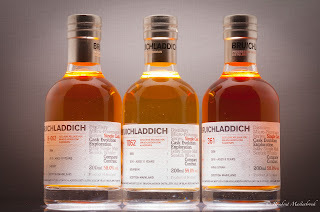 I will be on Islay on the time when the Bruichladdich Distillery will air the YouTube Webcast. I hope to be in the shop at that same time, so who knows, you may see my friend and me then. There is a bit of a spoiler alert with the printed labels on the bottles, but I'm sure the reason behind this will become clear at the tasting October 13th.